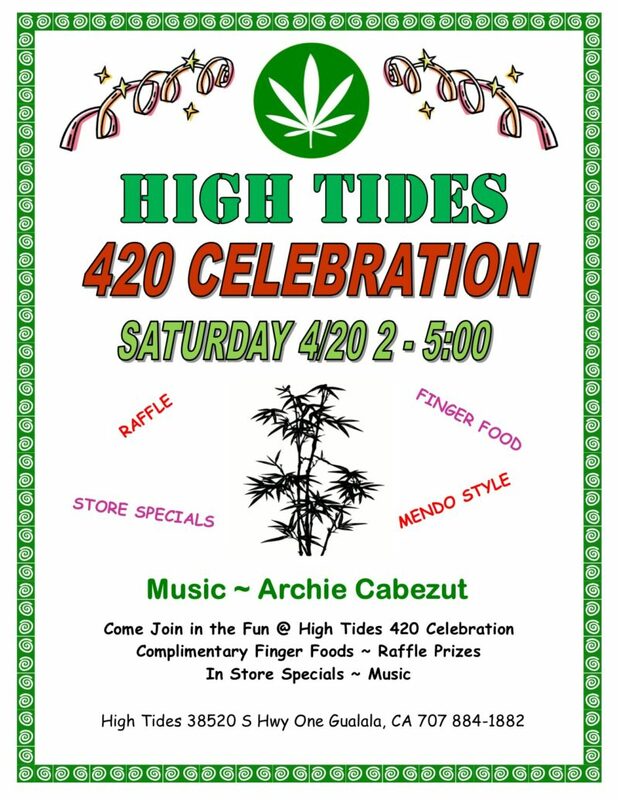 Come on over & join us for some 420 Fun!! We’ve got a great afternoon planned — from product specials and experts to music by Archie Cabezut, Food, Snacks & Fun! Grand Opening Gift Shop featuring Jewelry Creations by Jennifer. 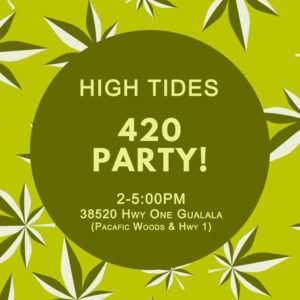 Your Gateway to the Emerald Triangle, High Tides is located in the town of Gualala, CA, the southern most tip of coastal Mendocino County. Offering both Adult use and Medical, we are a fully stocked collective providing compassionate cannabis care, consultations & service. Copyright 2019, High Tides, Inc.